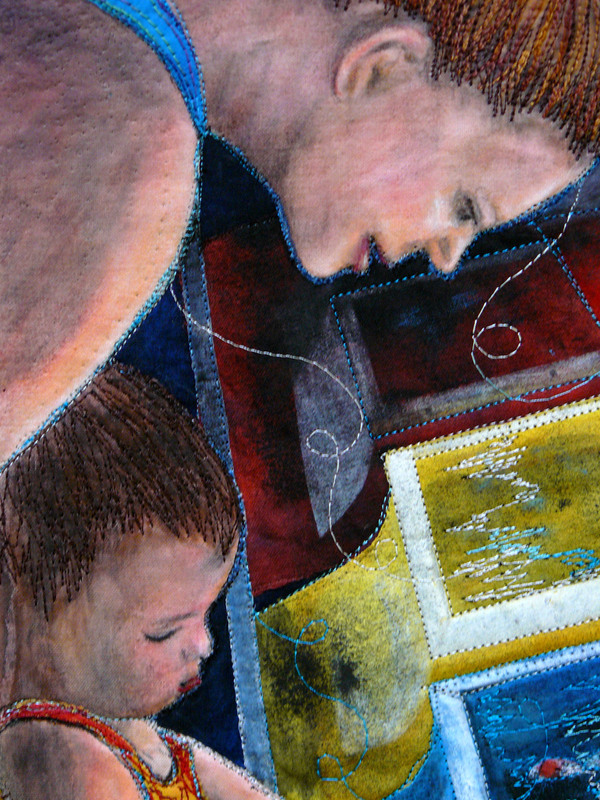 This quilt was made for a challege as part of an online quilt group called ‘Latitude Quilts’. The theme was’Carnival’. 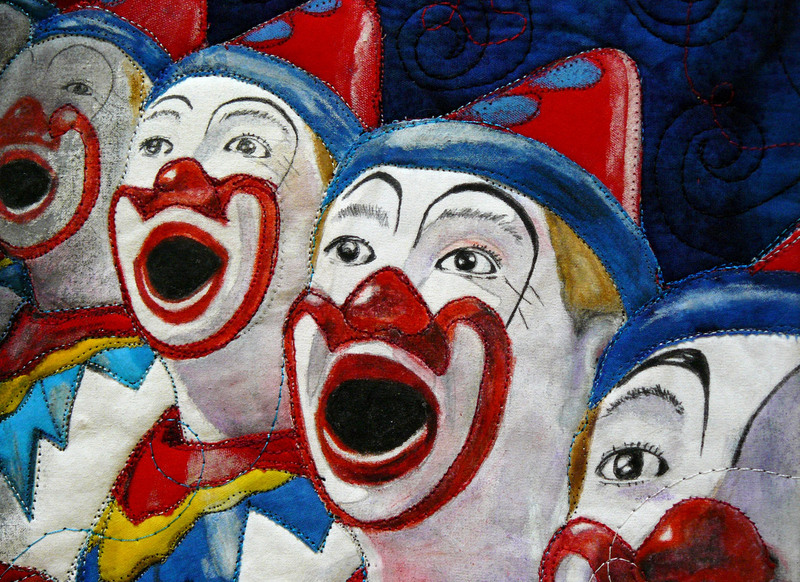 This quilt is based upon a photo I took at our local country town’s New Year’s Eve Carnival. Nearly everyone has had an encounter with these laughing clowns. You might of found them cheerful, magical or downright creepy! I could not resist representing this lovely moment with mother and child. 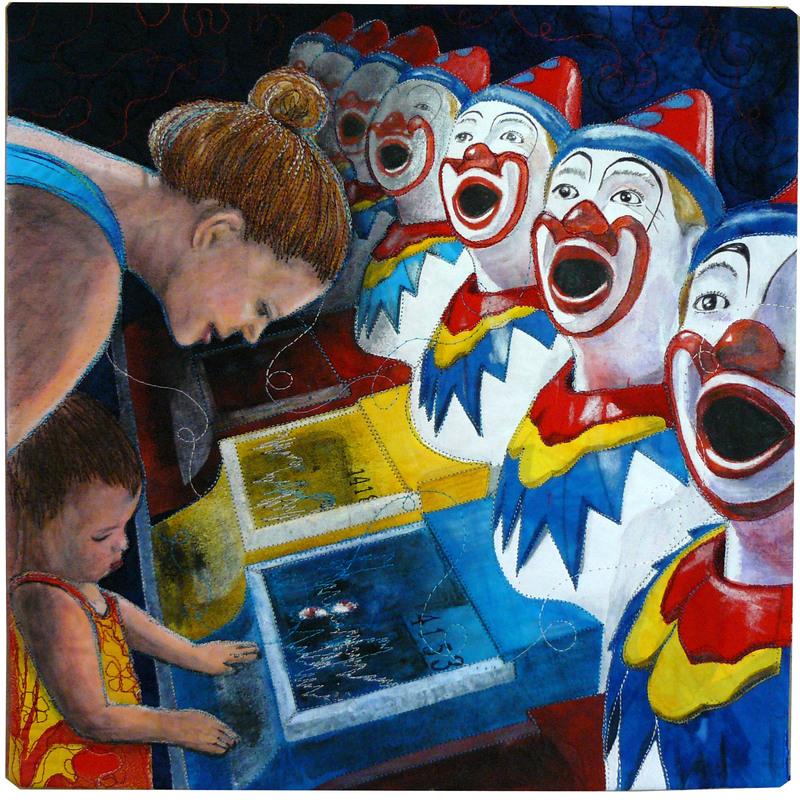 There was a lot of reflected light bouncing around and I loved the way the shiny fake clowns contrasted with the softness of the mother and child. I used a collage process, first colouring the fabric with crayons and pencils and then fusing all the pieces into place. It was then finished off with thread sketching and quilting.